The following document describes installing software updates for Identity Panel 4.x. This procedure assumes minor and semi-major version upgrades (4.x.x to 4.x.y or 4.x.x to 4.y.x). Also see Upgrading from Identity Panel 3.x. 2. Unblock the file if needed, and run the executable, which is a self-extracting archive. This will produce a folder called IdentityPanelInstaller. 4. Execute Step 1: Check and Install Identity Panel pre-requisites (NOTE: All pre-requisites should already be installed unless performing a major upgrade, but this check will verify the server state). 5. Run PanelSetup again, and execute Step 3: Backup database. You will be prompted with a folder picker dialog. 6. Run PanelSetup again, and execute Step 5: Upgrade Identity Panel. 7. 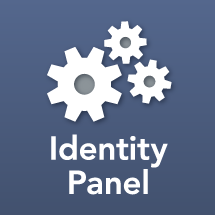 During the upgrade process PanelSetup will perform preparatory tasks then run the IdentityPanel msi. After you click through the installer PanelSetup will run through post installation tasks. After the install completes you will need to re-configure your virtual directory bindings in IIS. If your upgrade fails you may need to manually run the installer, then complete the post install tasks. 1. Make sure SoftwareIDM Maintenance Service is stopped, and that Identity Panel virtual directory is stopped. Kill IdentityPanel.exe process. 2. Run IdentityPanel.msi from an administrative command prompt using msiexec to enable logging. 3. Once the install completes ensure that SoftwareIDM.ElasticSearch and MongoDB services are running. 1. Navigate to Identity Panel Settings / Install Service and click "Download Installer"